The rise in national health-care costs has appropriately led to close scrutiny of the cost of new technologies. 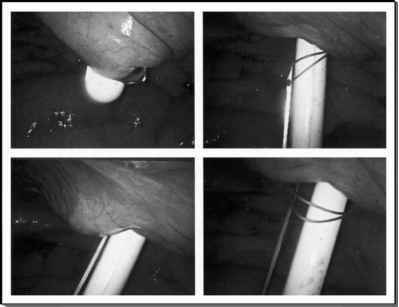 As the field of laparoscopy has matured, the focus is shifting from feasibility of techniques to utility and effectiveness. Along these lines, one aspect that is increasingly emphasized is the financial implications of laparoscopy. Prior to introduction of the technique, such issues as operative time and length of hospital stay did not play an important role in managing health-care costs. However, with the advent of laparoscopy, the decreased morbidity associated with laparoscopic techniques has highlighted cost advantages associated with decreased hospital stays. On the other hand, increased operative times and expensive equipment are noted as detrimental financial aspects. This chapter is written to evaluate the various aspects of laparoscopy that impact health care-related costs and financial issues. There is no doubt that the safety and efficacy of a laparoscopic procedure is the most important determinant of whether a procedure should be performed. However, one cannot ignore the importance of cost in today's society and must recognize that responsible medical care requires physicians to consider the cost implications of various treatments. We will focus on costs associated with equipment, operative time, length of hospital stay, reimbursement rates, and both direct and indirect costs associated with laparoscopic surgery.